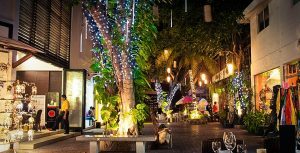 For some, a nice night out might be simply straying away from the hotel for a nice dinner and dose of people-watching along Playa del Carmen’s Quinta Avenida (5th Avenue). If that’s your plan, don’t just expect to find great Mexican food. The influx of people from all over the world means that many Playa del Carmen restaurants boast some incredible international cuisine. There’s always something magical about seeing a live show. The raw talent, the energy of the crowd, the flow of inebriating drinks and the electric atmosphere. 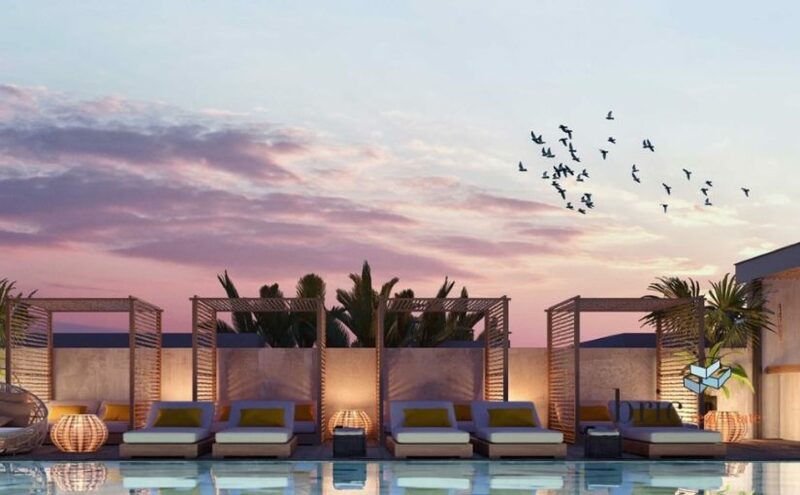 And in the case of Playa del Carmen, of course, you’ll have to add in a dose of palm trees, thatched roofs and the tropical surroundings to those rhythmic beats. 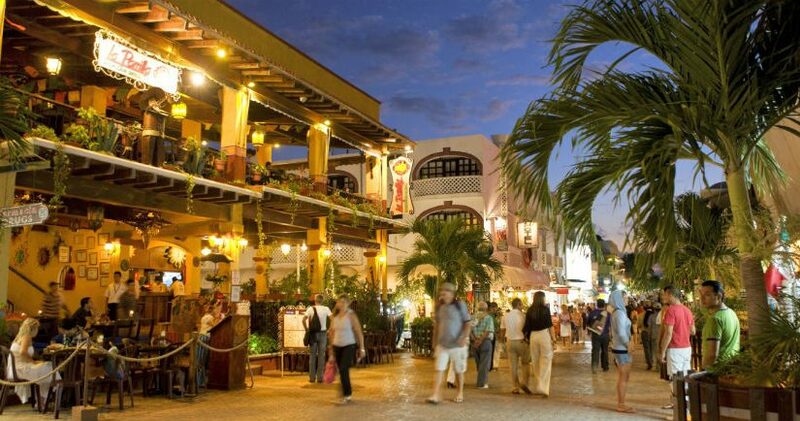 While there is more than enough to keep you busy and entertained in downtown Playa del Carmen, there are also a few nearby attractions that are great alternatives for a night out for the entire family. 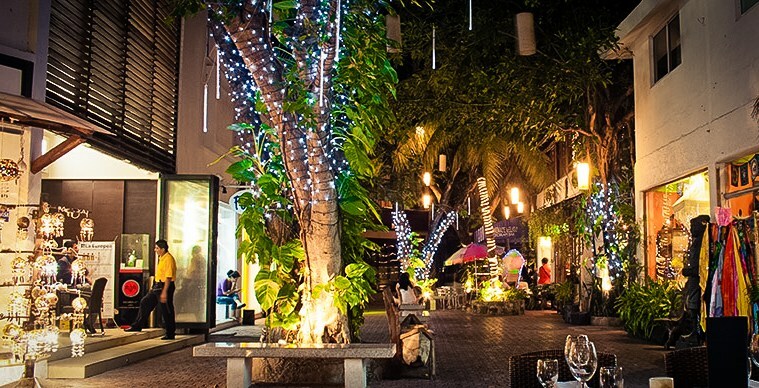 There’s no two ways about this one: Playa del Carmen’s nightclubs rock. 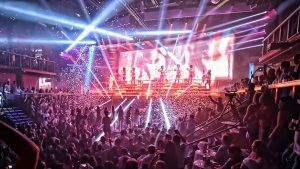 If you’re looking for a wild night of loud music, top tunes from Latin America, Europe, and the United States, plus some beautiful people showing off their fancy dance moves, don’t miss a night out to check out some of Playa’s many great nightclubs. From a spectacular display of Mexico’s finest folklore to experiencing the breathtaking beauty of a Cirque du Soleil show or the majestic history of the Maya projected on the walls of the great Kukulkan Pyramid in Chichen Itza. Whether you want to sell a property or want to buy it, have a sense of how your cost is determined, gives you control over your assets; It also gives you security in case you want to make a transaction with it. Knowing the way in which a property is valued is important, so we explain what are the factors that are taken into account to define the cost of a property. -The construction: At this point touch aspects such as the age that has the building of the property and the strength that it has. Likewise, it takes into account the finishes that all the good has, the materials that were used and the quality of these. -The functionality and view: In some cases, it takes into account the natural lighting that your property has, the views it offers, the general internal distribution it has, the orientation of the house and the functionality of spaces such as corridors and stairs. 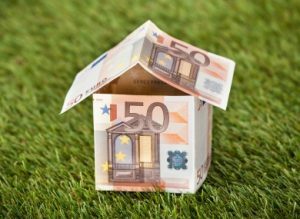 -Type of property: Although the cost per square meter is defined more by the area where the property is located, said price also varies if it is a house or a department. Also, in case of having an apartment, the square meter of a building that does not offer any amenity will be completely different to a condominium that has roof garden, gymnasium, and so on. -Installations: In any building, the age directly affects the electrical, water and ventilation installations; over time these deteriorate requiring repairs, not doing them can directly impact the final cost of a home. The state of doors, windows and paint is also qualified. In addition, if you have the technologies that are currently available (for example: a solar light installation) it is also taken into account when making an appraisal. 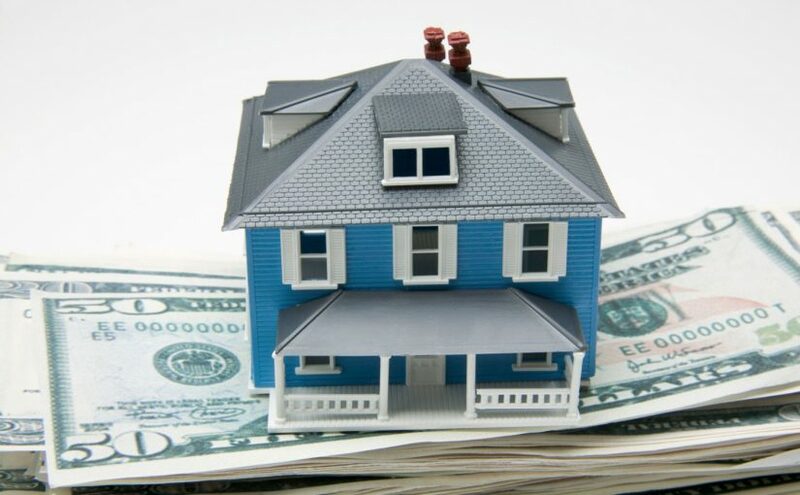 -Location: It is the most determining factor in the cost of a real estate. The price of the square meter (both of the surface area and the built area) varies depending on the entity where it is located, the demand that the area has, the density of the population and the degree of development that exists around it. It is in this factor that the rules of supply and demand are obeyed. -The surface: The total area of your property is differentiated between the covered and uncovered surface, determining how much construction is inside a land and what is the area -if there is one- that could be exploited even more. -The environment: The services inside and outside the property (electricity, water, green areas, etc.) count a lot. Nearby shopping centers, adjoining buildings and proximity to important transport routes also influence the cost of your property. It can even be considered if it is in a corner or in the middle of the street, if the latter is wide or narrow, if it is flat or has slope, if it is an avenue or is a closed one with surveillance. Known as “The Three Times Built”, it is one of the archaeological sites of the Mayan culture whose architecture is one of the most impressive in Yucatan. Its beauty is characterized by having low and horizontal palaces, placed around courtyards or quadrangles, which are rich in decorations of very detailed sculptures made with thousands of small stones perfectly polished and adjusted forming geometric mosaics of a perfection not equal in the whole area Maya. The city consists of 15 groups of buildings, distributed from north to south, in an area of approximately two kilometers. Among those that stand out: The Pyramid of the Adivino, with its Plaza de los Pájaros, the Quadrangle of the Nuns, the Ball Game, the Governor’s Palace, the Great Pyramid and El Palomar, in addition to the North Group, the House of the Old , The Cemetery and the Temple of the Phalluses. 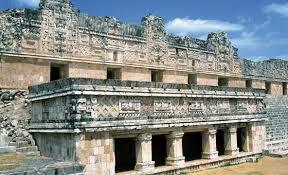 Uxmal, a city with a certain subtle air, that just by contemplating it, can move its visitors. The most impressive structure, with a unique elliptical shape and a height of more than 35 meters is La Casa del Adivino; According to an ancient legend, this pyramid was raised by a dwarf in only one night, although in reality it was built in five stages and was designed in such a way that its stairway faces east, towards sunset on the solstice Of summer. 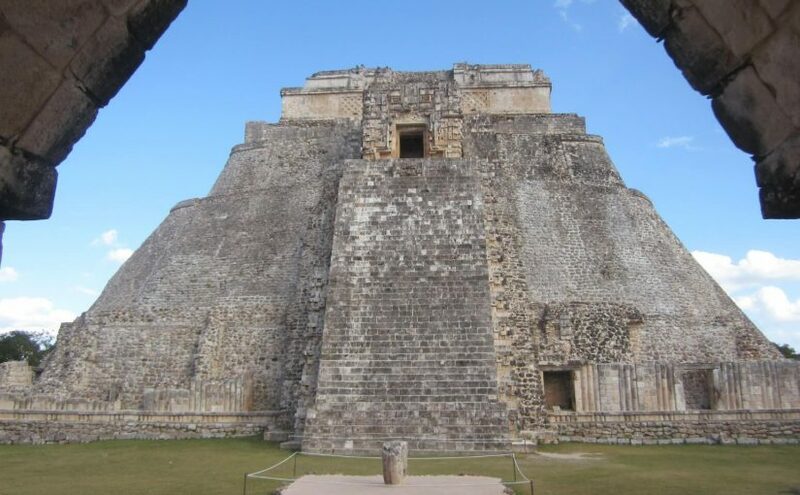 From the Quadrangle of the Nuns there is a light and sound show by Uxmal, in which Mayan legends of the region who gave life to this mystic place are narrated. One of the reasons to visit this site is its beautiful beaches, those landscapes, the tranquility that exists in the vast majority of its beaches that are difficult to find in other places, besides it is very easy to access them. The sea and the sand is the complement and that touch that makes them perfect because it does not matter that the beach all the perfect lives. 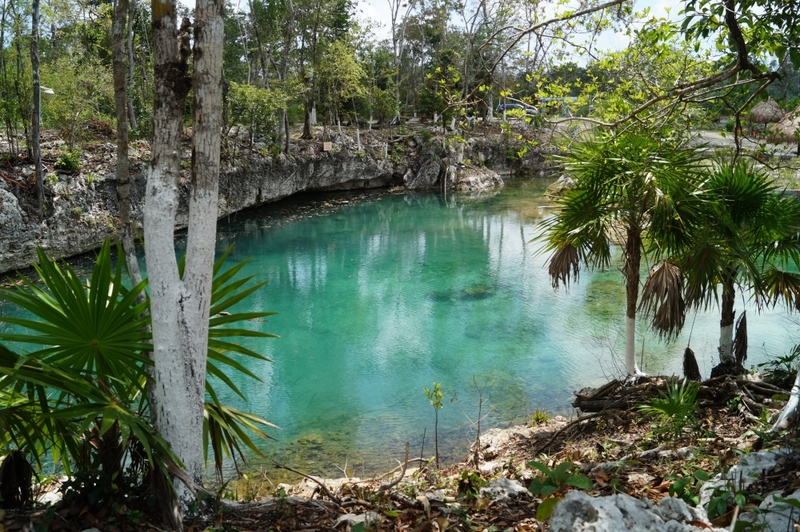 The Mayan Riviera is surrounded by cenotes and there are even more cenotes than those currently known to exist. These natural pools are fascinating with an ideal water for hot times and with a landscape that makes you fall in love from the first moment. Fifth Avenue is the backbone of Playa and from there you can access several popular spots such as: shops, restaurants, museums, clubs, bars; and also has various accesses to the sea and beach clubs such as Mamita’s Beach Club. It is a must to take a walk along this important route where there are no cars passing by and that is always full of life and activity. Additionally, it is very easy to move around Playa del Carmen to other points of the Mayan Riviera and the Yucatan Peninsula, and best of all, very economically. There is a good bus service, buses and taxis but you can also move to walk through its main streets or you can choose between different areas or towns. There are more than 150 km of coastline to choose from! so it is possible to visit a different beach every day. Whether it’s in Playa del Carmen with its diverse beach clubs, Akumal with its cute turtles or the stunning turquoise beaches of Cancun, Isla Mujeres or Tulum. In different parts of the world the passion of Jesus Christ was remembered in Holy Week. Acts laden with symbolism replace masses that are not officiated as a sign of mourning. Nicaragua: is one of the most important festivities in that nation of Catholic tradition. The Spanish conquest spread Christianity at the hands of the Franciscan and Dominican missionaries who imposed on indigenous religions although the religious syncretism of America deeply marked the customs of the Nicaraguan people. 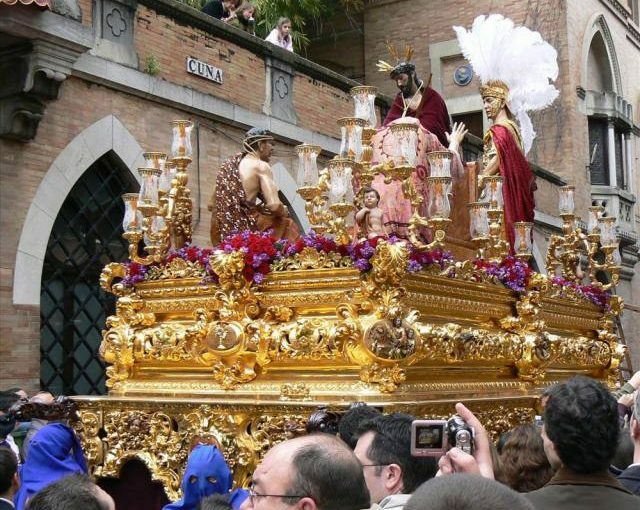 Although Holy Week is celebrated in many cities, the festivities of Granada and León stand out, tourist capitals highlighted by their colonial architecture, a large number of neoclassical and baroque churches and a rich heritage of sacred images. Australia: On Good Friday (April 18) all businesses will be closed, it is the only day of the year when there are no newspaper sales. During the season of Holy Week there is also the Sydney Royal Easter Show, one of the biggest and most popular shows of the year. The Sydney Royal Easter Show is a national icon in which everything that is Australian is celebrated, from our country heritage to the latest shows and technological advances. The show lasts 2 weeks, from April 10 to April 23 during the Easter school holidays. Every day starts at 9.00 in the morning and ends at 9.30pm, usually culminating with fireworks in a grand finale every night. This show really has something of interest for everyone. Although this festivity is used from the commercial point of view, since the shop windows show the most incredible models of pastry: eggs, rabbits, chickens and even chocolate kangaroos. Regardless of the theme in which the store specializes, there you will find the most delicious Easter symbols. United States: there is room for the practice of all religions, however, the members of Evangelical Protestant Churches are the largest religious group in the United States, followed by Catholics, who are, mostly, of Hispanic origin, Irish or Polish. Italy: Italians celebrate Holy Week with processions and ancient rituals. Even if you are not a believer, it is worth seeing the processions that cross the streets of many towns and cities involving devotees of all ages. Jerusalem: where Holy Week makes the most sense, and where it is most fervently celebrated. There, visitors who travel to the Holy City, can visit the places mentioned in the Bible, and attend numerous masses, which will make them transported 2014 years ago. In a paradisiacal place like the Riviera Maya, the positive aspects for the decision to buy a property increase even more, because who does not want to live or have a property in such a beautiful place with so many possibilities? Whether you want to buy your own home to live with your family, or a property to rent or commercially exploit, one of the best places is the Riviera Maya. In this place there are important masses of national and international tourism of all levels, who find here an oasis where to vacation, rest and perform any type of recreational activity, while enjoying the best and most beautiful natural landscapes. The infrastructure that the Riviera Maya has to receive tourism is first class, and highly valued all over the world, that understands that in a place like this the best services are offered, since there is also a high competitiveness, which requires improvement day to day all the imaginable aspects in said services. The incredible landscapes that can be seen here in the Riviera Maya are appreciated worldwide, and that is an extra value that makes the properties in the Riviera Maya are the most sought after. In addition, the great influx of tourism makes this a very favorable place for the development of business of all kinds, with more than interesting perspectives. In addition, around the Playa de Carmen surroundings are the ancient Mayan pyramids of Tulum, as well as other incredible archaeological sites and magnificent jungle reserves, Playa also offers a cosmopolitan atmosphere, with some of the best golf courses in the world, restaurants, stores and entertainment. The second largest coral reef in the world is also located a few meters from the coast (like the island of Cozumel), which means that this is also one of the best places in the world to dive and snorkel. 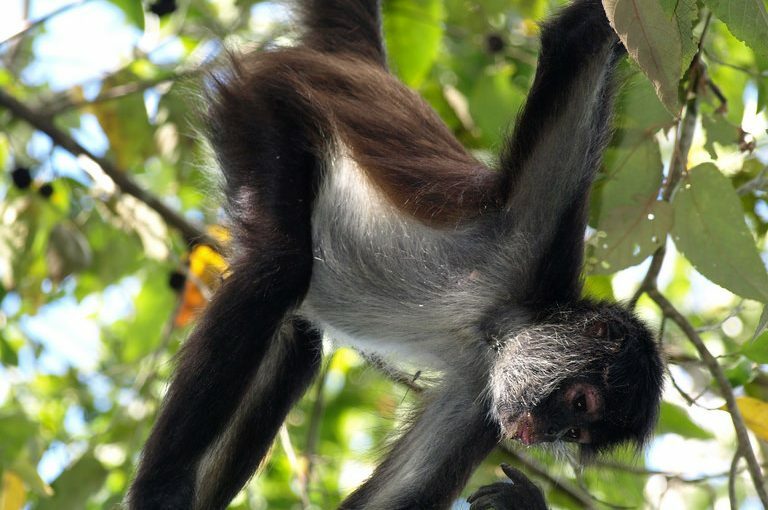 Punta Laguna is well known for being the home of the spider monkey and the saraguato. A Mayan community has preserved this place for many years. Observation of the spider monkey: due to the location it has, Punta Laguna is the home of this species of monkey, which is more feasible than the afternoons because the mornings are sold for food and even after a while they return home. You can take pictures and sometimes even accompany you throughout the journey. Participate in Mayan ceremony: At the beginning of the tour, a Mayan shaman, a small ritual like those that were done in the past, in which to request the permission of the gods of the underworld and the earth to enter their properties; Here you can see a part of the Mayan culture and its traditions. Canoeing: Knowing the surroundings of the lagoon and then reach the zip line and be able to slide in it by going over it. Rappelling in the cenote: This is a very daring experience but it is worth living, that at the end of the descent you bathe in the fresh and crystalline waters of it. Visit the archaeological sites of the area: Up to now, 6 of these structures have been found and although they have not been rescued, the guides have identified them. In addition, the tour can also be seen from a cave with an open water mirror, in which the monkeys take refuge to drink water or rest. 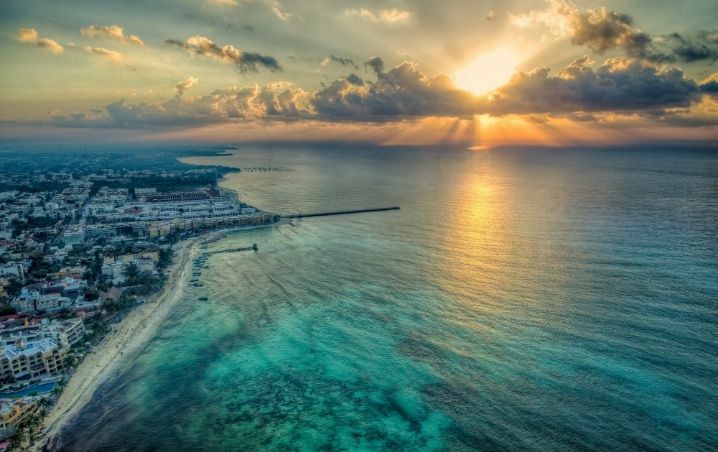 Playa del Carmen has had a huge growth in recent years, many people every day decide to live in this paradise of the Riviera Maya, and if you still can not decide, here are some points to finally make a decision. 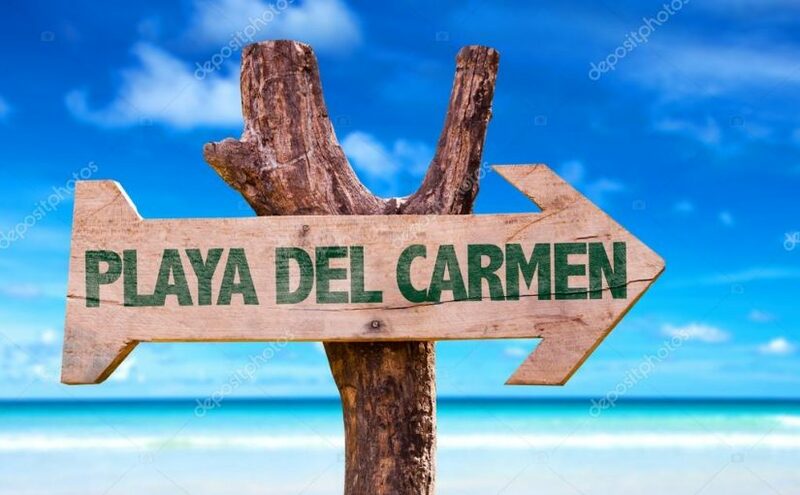 As a consequence of the increase of its population and tourist flow, Playa del Carmen now has roads that allow you to reach different places faster without having to detour to Cancun. Escape the weekend to Holbox, Valladolid and even to Merida arriving in a few hours. Once you find the perfect place to live on the beach, your concern will be that visitors know more tourist sites than you. Prepare your agenda and program escapes to cenotes, such as Dos Ojos, Aktun Chen and Azul or to the surrounding natural parks. You can even go to beaches with less tourism, including Akumal, which is famous for the presence of turtles. The climate of Playa del Carmen has a pleasant warmth and perfect for going to the beach or in a pool. It is the Caribbean and a tropical area so just enjoy it, you will like that you will not feel high temperatures. 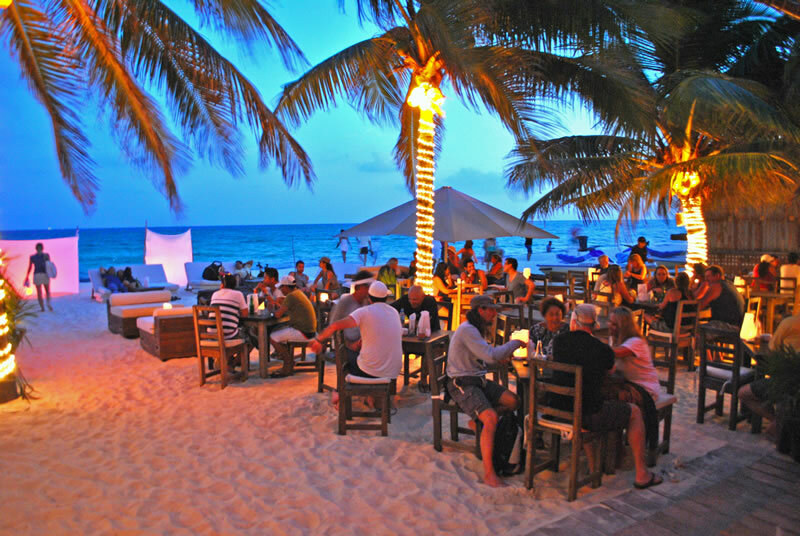 Playa del Carmen has a more relaxed and casual nightlife. It is on 12th Street where the main bars and nightclubs for different tastes are concentrated, all very close to each other. Coco Bongo, Blue Parrot are some of the most popular sites. If you like exercise and outdoor activities, Playa del Carmen promotes a lifestyle in motion, in addition to all the options of outdoor activities and water sports such as snorkeling, diving, paddle surfing, kayaking, you will also find from gyms , yoga studios, crossfit, salsa classes and public places where anyone can take advantage of the fresh air in the early morning to exercise without problems. Cobá is an archaeological site located east of the town of Cobá, east of Chichen Itzá and northeast of Tulum. Some hieroglyphic inscriptions found on stelae and panels on the site allow us to affirm that Cobá was the original name of the city. 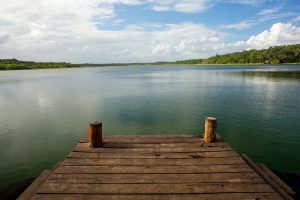 One of the possible meanings and the most accepted one, given its proximity to the lagoons, is that of “chopped water”. Several groups of structures are scattered in Cobá and many more are planned to dig (only 5% of their structures have been unearthed). The highest pyramid is called Nohoch Mul, 43 meters high. Once you are at the top, there is also the possibility of observing the jungle landscape with amazing shades of green, trees, butterflies, birds and insects. The largest structure of Cobá and that you can still climb has 111 steps, plus another 5 to the highest area of the pyramid from where many people take pictures and admire the beauty that the jungle encloses. After having toured the archaeological zone you can cool off in the cenotes that are to its surroundings as the cenote Choo-Ha which is located 10 km from Coba, inside are stalactites. The Cenote Tankach-Ha of deeper waters of the place and the Cenote Multun-Ha where you will be able to observe stones under the platform well-heeled giving the impression of being Mayan ruins.